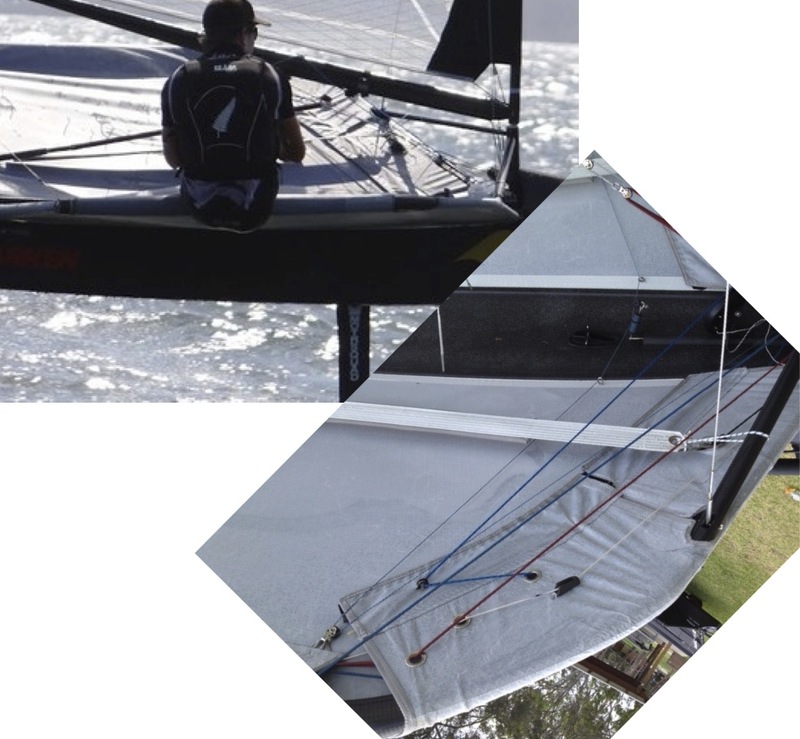 Our Aero-tramps are the result of many hours of work with Peter Burling and numerous other leading Moth sailors to produce the cleanest aerodynamic shape that can be created around the existing Mach2 wing bars. Featuring a fully faired-in front lashing pocket, with space for all adjustment lines to be run internally within this pocket. Eyelet positioning for return bungees for adjustments can be customised to suit your preference or you can use our standard layout, which seems to suit most of the top sailors. Shipping to Australia is $65/set order 2 sets and get shipping free. Shipping to USA is $95/set order 2 sets and get shipping free. These wing tramps have proven to make a difference.